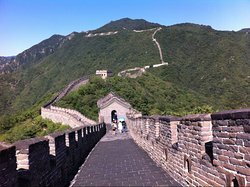 Tours from Beijing Walking Tours tend to sell out - travelers recommend booking in advance! 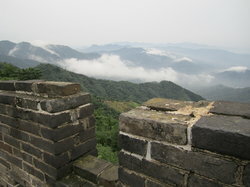 Jiankou to Mutianyu Great Wall....Amazing! Incredible tours with Leo! Must do in Beijing!! Any visit to Beijing, whether short or long, will not be complete without at least one tour with Leo. 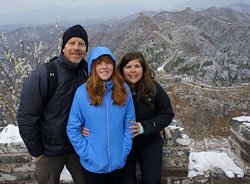 I was fortunate enough to take two of his tours: the Great Wall Sunset Tour and the Beijing Heritage Tour, both were memorable, not just for the sights, but for Leo’s insight and stories. Unlike other tours, Leo is not on a “clock”, as he is always encouraging you to take as many pictures as you’d like, explore on your own and pepper him with any question that pops into your mind. Furthermore, his down to earth attitude made my two days with him feel like I was traveling with an old friend, making a solo traveler feel incredibly comfortable and welcome in a foreign country. 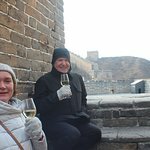 While the sites were definitely the highlights of each day, having lunch with Leo and the rest of our group during our Great Wall Tour was special, as it allowed us to bond with everyone over a delicious meal and drinks. On both days, Leo encouraged us to escape from our comfort zone and try the traditional, from Peking Duck, to dumplings and Jasmine Tea ice cream to the exotic, chicken feet, cow stomach, intestine and blood tofu. I would have certainly not have tried the latter dishes on my own, but am quite glad that I did! From his demeanour to his knowledge, I could not be happier with Leo. 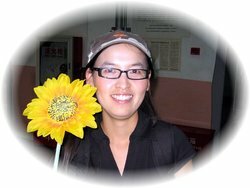 I cannot wait to return to Beijing, not to tour, but to visit someone who now seems like an old friend! Thank you Leo! We had the best time exploring Beijing with Leo! He was educated in the different places and his really good English made it easy to ask questions and recommendations. He also listened when we wanted to explore one more place! 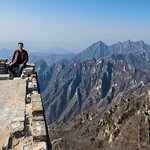 Amazing time, recommend this to all people that what to explore Beijing! 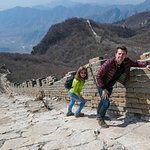 My wife and I went to Beijing for our honeymoon and agree that our favorite day was the one that we spent hiking The Wall with Leo! He was friendly and knowledgeable, giving us fun facts and bits of history about The Wall along the way. We had fun chatting with him throughout the day, and he took lots of photos for us. The portion of The Wall where we started has not been refurbished and was slightly more remote. For an hour or more we did not see another hiker, and it made for a very unique experience. We were happy not to be in close proximity to the gimmicky shops and the other tourists. The sense of seclusion in such a place made for a very unique experience. I would recommend this tour to anyone who is interested in a long walk with nothing but beautiful scenery. 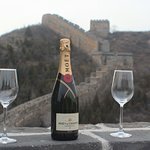 It was one of the most memorable days of our lives, and we have Beijing Walking tours (and Leo) to thank! What a beautiful experience!! 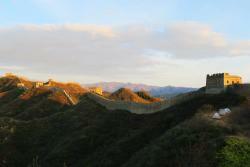 The landscapes from this part of Great Wall are wild, awesome. To resume, I recommend !! Do not hesitate! !